He is a graduate in Civil Engineering from Lisbon’s Instituto Superior Técnico and has a Masters Degree in Environmental Engineering from Imperial College of London. 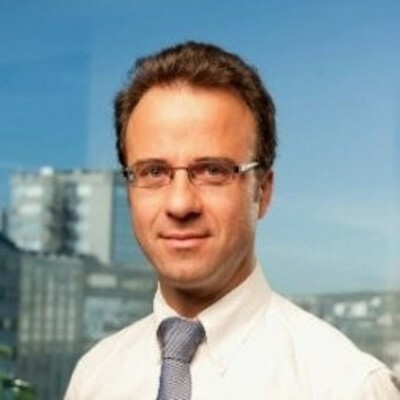 His academic training also includes a specialization in Public Health from the Ecole Nationale de la Santé Publique in Paris, a Master of Business Administration from Lisbon’s Universidade Nova and a postgraduate management studies in renewable energies at Universidade Católica Portuguesa. He began his professional career working for environmental consulting companies and he was managing director of Portugal’s Welding and Quality Institute (ISQ) where he gained experience in supporting the growth of start-up companies operating in the energy and environmental fields. Afonso was a member of the Board of the Municipal Environmental and Energy Agency of Oeiras, a member of the general assembly of Adene-Energy National Agency as well as managing director of Efacec where he joined the board of the Portuguese Water Partnership. He lectured post-graduation studies on Environment at Universidade Católica of Lisbon and coordinated several projects and research related to environmental and energy areas in European and African countries. When he is not working he run marathons and tries to play golf, unsuccessfully.